Eye protection for every season. 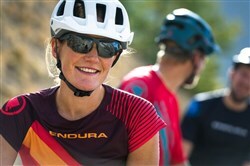 The Endura SingleTrack cycling glasses have three interchangeable two piece lenses for riding in different light conditions. Trail friendly eyewear the Singletrack glasses are ideal for all-year-round mountain biking.